Dutch ovens are terrific cooking pots for hearty roasts and stews. 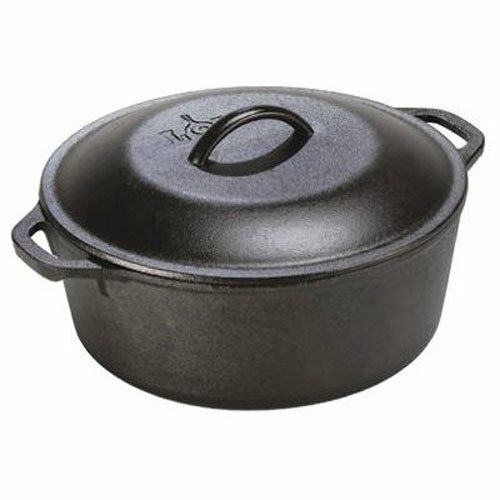 Properly seasoned and diligently cared for, a sturdy cast iron dutch oven can last for years. 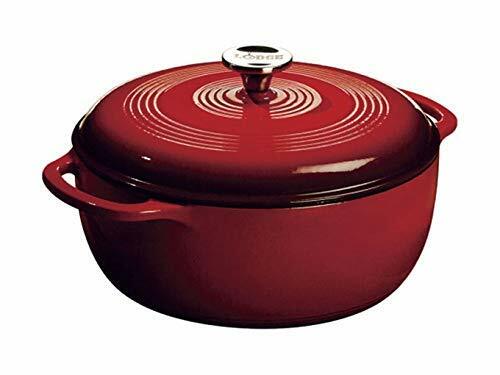 If you're lucky enough to own an enameled dutch oven, you're protected against the damage caused rust. How Do I Prepare My Dutch Oven For First Time Use? Depending on the finish on your dutch oven, you'll need to season the inside and outside of the pan and the lid to prevent sticking. An enamel coating over the iron will protect most rust. However, authorities with Cajun-Cast-Iron recommend seasoning your enamel dutch oven prior to using it by filling the pot with water and boiling it nearly dry to seal the enamel coating. Once the water is about an inch from the bottom, turn off the heat. washing the dutch oven and the lid in hot soapy water before seasoning it. Coat the inside of oven/pan in shortening and lay it upside down over the middle oven rack. You'll need to set out a pan or foil to catch the drips. How Do I Maintain The Finish? Once you've succeeded in seasoning a dutch oven, you'll need to guard against damaging the surface of the black seasoning. Cooling and heating too fast. Dropping your cookware and chipping or damaging it, especially if cast iron becomes exposed. Scrubbing it with soap and water. The seasoning is a baked on grease; if you break up the grease, your pan can rust. Never use soap on an iron pan unless you're planning to immediately reseason it. Cooking highly acidic foods. Tomato sauces and marinades, per food authorities with Bon Appetit will destroy the seasoning on an iron pan. If you want to make a stew in your dutch oven, use a broth base stock and avoid tomatoes. Leaving your dutch oven dirty. Cast iron ovens are best cleaned before they're completely cooled, and you can use oil and a bit of salt to scrub away any stuck-on foods. Enameled Dutch ovens do not need to be reseasoned. Instead, maintain a proper cleaning regime as noted above. For a regular cast iron dutch oven, get out pot-scrubbers, soap and hot water. Have shortening or lard standing by, and preheat your oven to 300 degrees Fahrenheit / 149 degrees Celsius. You can dry your dutch oven in a hot oven to make sure it's completely dry, then re-treat any rust spots with oil and kosher salt. Nickens recommends multiple rounds of shortening and baking the dutch oven at 450 degrees Fahrenheit / 232 degrees Celsius. It's important to note that iron holds heat extremely well and can be extremely dangerous. If you're adding more shortening to a dutch oven for another round of seasoning, never work on a pot bare-handed without making sure it's cool enough to touch. While some metals will lose heat as you add ingredients, cast iron is happy to cook whatever you put in the pot, including your skin. If you just need to do a bit of spot reseasoning, you can protect your pans and fix breakfast at the same time. Should you notice any iron pan losing the rich black shade of seasoning on the inside of the pot, cooking up some nice crispy bacon can save having to completely reseason the whole surface. Cast iron cookware is a terrific tool for anybody who likes to fry or sear foods. It heats slowly and cools slowly and is heavy, so handle with care.